Those tax hikes were part of laws designed to gradually boost road spending by $1.2 billion annually by the 2020-21 fiscal year. Less than a year after enactment of the plan, however, an infrastructure commission created by then-Republican Gov. Rick Snyder called for an additional $2.2 billion to bring interstates, highways, local roads and bridges into good or fair condition. 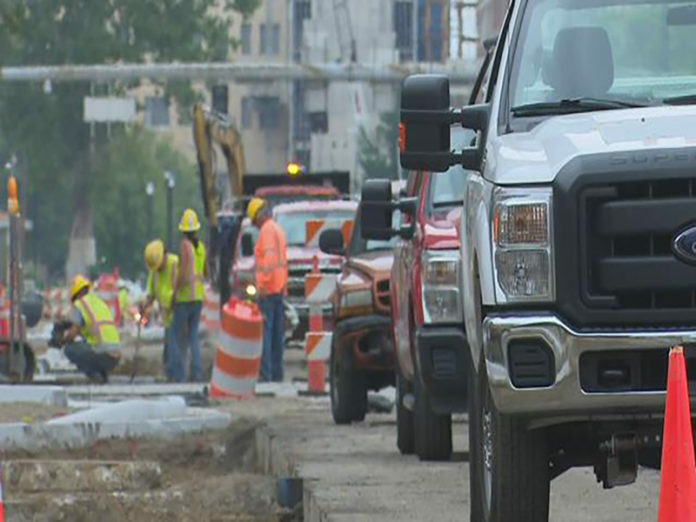 Whitmer made fixing the roads a major focus of her campaign, proposing to increase “user fees” by an unspecified amount or ask voters to approve a bond. She is expected to highlight the issue in next week’s State of the State address and to unveil a plan in her March budget presentation. Ajegba declined to elaborate on specifics, saying he did not want to get out in front of her pending proposal. Ajegba’s appointment is expected to stand. Cass County residents understand the situation with the infrastructure problems in the State, and the problems with the inability of township government’s dealings with the County Road Commission. The citizens are eventually held hostage, especially property owners, because that’s where the money comes from. The County dictates to the township the costs for any work done on infrastructure and the percentage of what the two must pay for the work. It used to be a 50/50% split. Then it shifted to 70/30, 90/10, and the township pays the highest part. County has total control over the roads. The burden was worsened with the housing market downturn a decade ago, but with the increase in value today, and fuel costs down, the County has not lowered the percentage yet. The pricing seems really high but without other bids for the same work, how can we know? Making matters even worse, when the County Road Commission doesn’t take care of its fiduciary responsibilities that end up causing great damage or destruction of whole sections of infrastructure as a result. Then, the County hires outside engineering for design because their staff engineering is too busy, doesn’t take bids for the repairs and replacement of the work other than its own estimate. Instead, the County sends the township a set of costs to get the work done at most costs back to the township, when it was a direct fault of the County’s failure to maintain it’s responsibility, like the culverts, bridges and more. I live in Calvin Township. This happened here from the massive rain we got last year. However, the culverts were plugged up and the results were horrible. The resulting costs of repair and engineering, even at 50%, took all the funds from a special assessment and funds for road repairs for that year to pay for two failures. BTW, there’s about $3.5 million left to do in the Township.